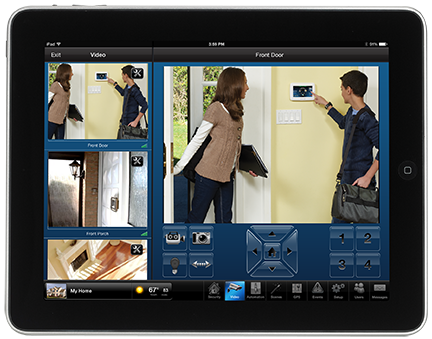 Thanks for visiting our Los Angeles, California home security information portal. D & S Security has built a reputation for top-quality products and impeccable installations, and we have been exceeding the expectations of discerning homeowners in this area since 1987. We take our responsibility the community very seriously, because after all, we are protecting local families. There are few if any places on earth that offer more than the City of Angels. The beaches are legendary, and of course, it is the epicenter of the television and motion picture industries. Sports fans can enjoy the Dodgers, the Rams, the Chargers, the Lakers, and the Kings, and there are world-class universities, theaters, museums, music venues, restaurants, etc. Plus, there is a vibrant economy, so financial opportunities are always abundant. We serve all parts of the city, from Brentwood to Beverly Hills to Echo Park to Hollywood and everywhere in between. To sum it up in a sentence, for residential burglar alarm systems in Los Angeles, California, D & S Security is the name that people have been trusting for over 30 years and counting. In addition to the work that we do installing home security systems for individual property owners, we serve members of the business community. If you are interested in surveillance camera deployment throughout your facility, we have you covered. We custom-craft our commercial security systems to meet the needs of each respective client, and no job is too large or too small. A comprehensive business security strategy will include a fire alarm system. The fire alarm systems Los Angeles, California commercial clients can obtain from us are highly sensitive, state-of-the-art products sourced from the leading manufacturers in the industry. We also provide around-the-clock monitoring at our UL certified central monitoring station. The final piece of the business security puzzle is an access control system. We offer a number of different types of access control systems, including smart cards, proximity cards, and numeric keypads. We also sell and install high-tech, state-of-the-art biometric access control systems. If you would like to discuss a Los Angeles home security system, video surveillance, fire alarm systems, or access control with a knowledgeable member of our team, we can be reached by phone toll-free at 800-521-1958.